Mark is chief financial officer and vice president of operations for Hitachi Vantara Federal. Mark plays a key role on the executive leadership team overseeing financial and business operations including corporate controllership, treasury, tax, IT, and customer support services. Serway brings over 25 years’ experience to Hitachi Vantara Federal, including an extensive background in both the government and commercial sectors leading successful enterprise transformational change, maximizing profits and positioning organizations for sustainable growth. 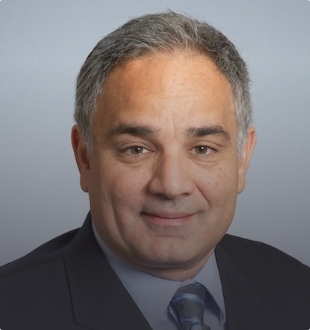 He is an expert in transforming and building world-class organizations, troubleshooting organizational and program inefficiencies, implementing process improvement initiatives, strengthening internal controls, selecting and implementing ERP systems and SaaS solutions, enhancing financial transparency company-wide and translating numbers into actionable plans. Prior to joining Hitachi Vantara Federal, Mark served as chief financial officer for Govplace, Inc., a government technology solutions provider. Prior to this, Mark served as senior vice president, chief financial officer of Akima for over five years, a $1.1B Government IT service and product company and played an instrumental role in spearheading the development of all long-term and short-term business plans among Akima’s family of companies. Mark has held progressively senior positions with Paradigm Solutions, Lockheed Martin IT, Getronics Government Solutions, Babcock & Wilcox and Boeing Computer Services. He received his M.B.A. in Finance from Averett University and B.B.A. in Management Information Systems from James Madison University. He is a member of CFO Alliance, Financial Executives International (FEI), and the Northern Virginia Technology Council (NVTC). Mark was a finalist for the Washington Business Journal’s “CFO of the Year” award and was recently appointed to the Board of Advisors for Gateway Global Delivery in Pittsburg, PA.